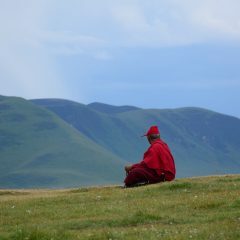 Before 1959, the Dalai Lamas were executing both administrative and religious power there. 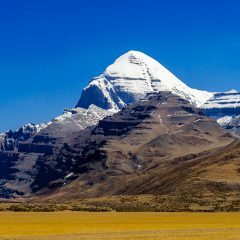 Hence, you will find both meditation chapels and assembly halls, as well as audience chambers where Dalai Lamas were meeting political leaders. 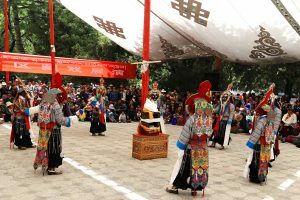 The grand procession of the Dalai Lama moving from Potala Palace to Norbulingka for the summer became a bright event, attracting many Tibetans every year. 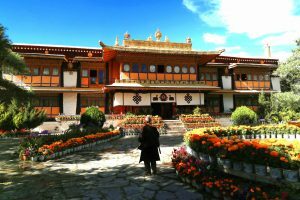 The seventh Dalai Lama Kalsang Gyatso founded the first summer palace in the Norbulingka in 1755. 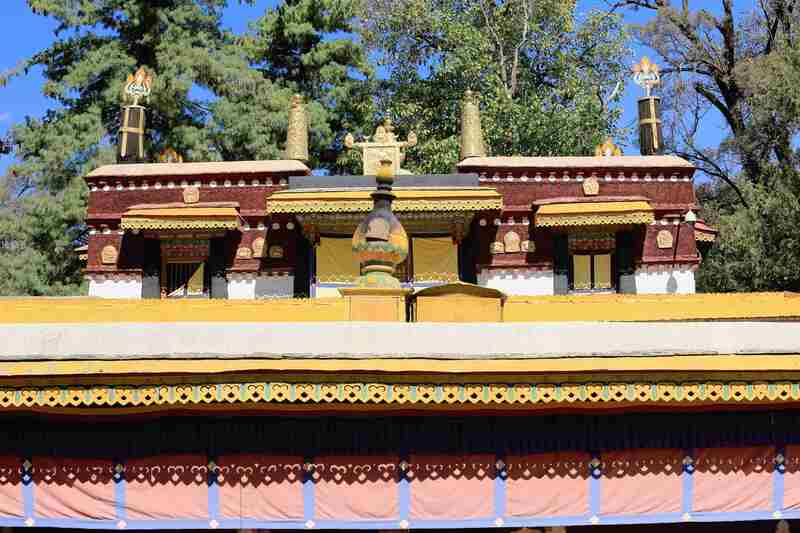 The oldest building in Norbulingka is Uyab Lhakhang, used as a meditation chapel. 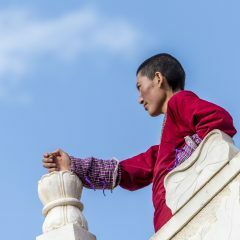 The first palace of the park is Kalsang Podrang. 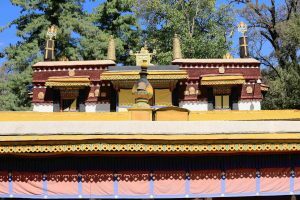 It was built for the Eighth Dalai Lama, and every successive Dalai Lama up to the thirteenth used it as a summer residence. 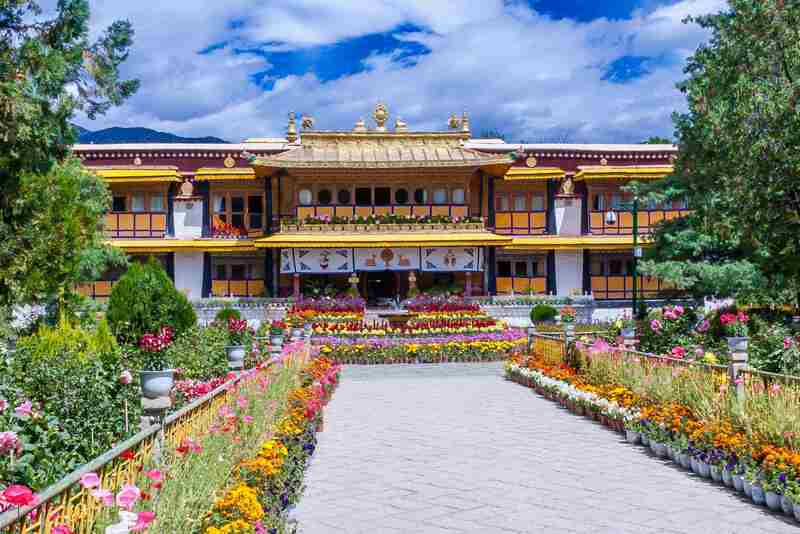 The eighth Dalai Lama added palaces and gardens to the park and initiated digging the lake. During that time Norbulingka became the Summer Residence rather than just a retreat. 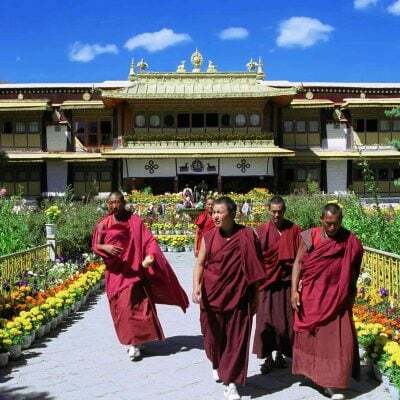 The summer palace of the thirteenth Dalai Lama is Chensal Podrang. 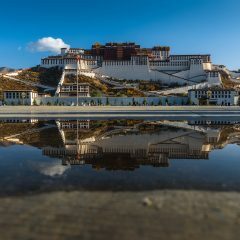 In addition to Chensal Podrang, the thirteenth Dalai Lama built two more palaces on the North-West side of the complex. 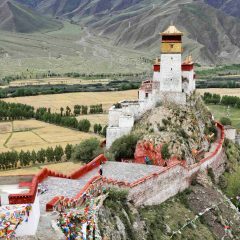 The 14th Dalai Lama built the New Summer Palace, Takten Migyur Podrang. 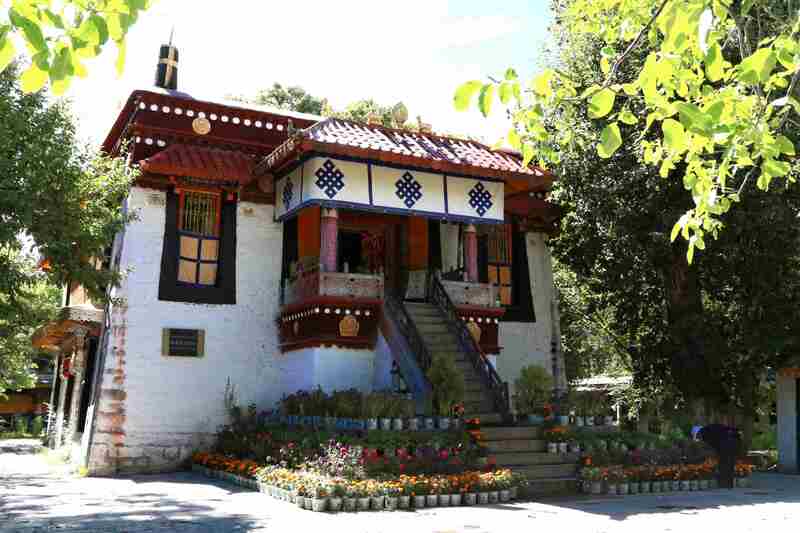 You can see the Dalai Lamas living quarters: the audience room, meditation chapel, and bedroom. 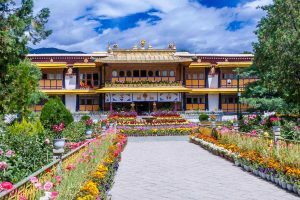 The main attraction is the Assembly hall with the magnificent gold throne and wall paintings depicting all Dalai Lamas, including the 14th Dalai Lama. 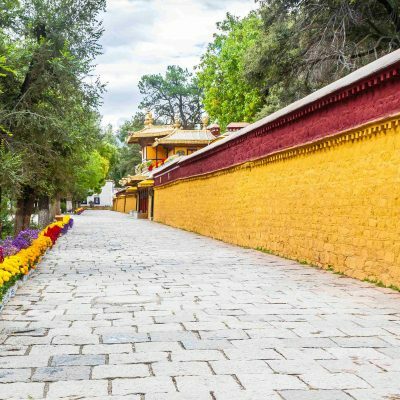 In 1959, the 14th Dalai Lama escaped from Norbulingka to India. Most of the rooms in his residence look today the same way as he left them. Along with religious objects, there are gifts from political leaders of India and England. 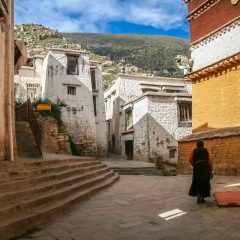 Many of the buildings in Norbulingka were damaged during the uprising of Tibetans protecting their leader. Later, they were restored and nowadays the complex is well maintained. 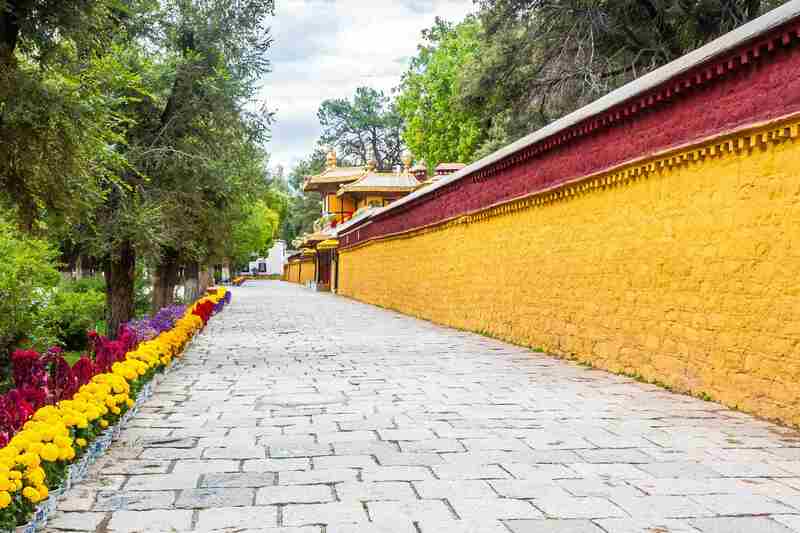 Norbulingka is located about 3km to the West from Potala Palace. 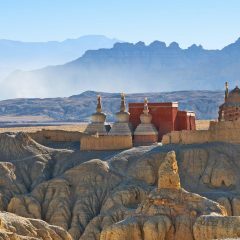 We begin our visit from the Kalsang Podrang. It is one of the oldest buildings in the complex. 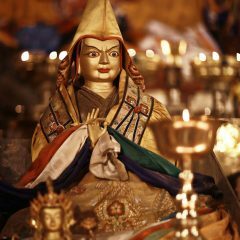 We visit large assembly hall with 65 White Tara thangkas hanging all around it. 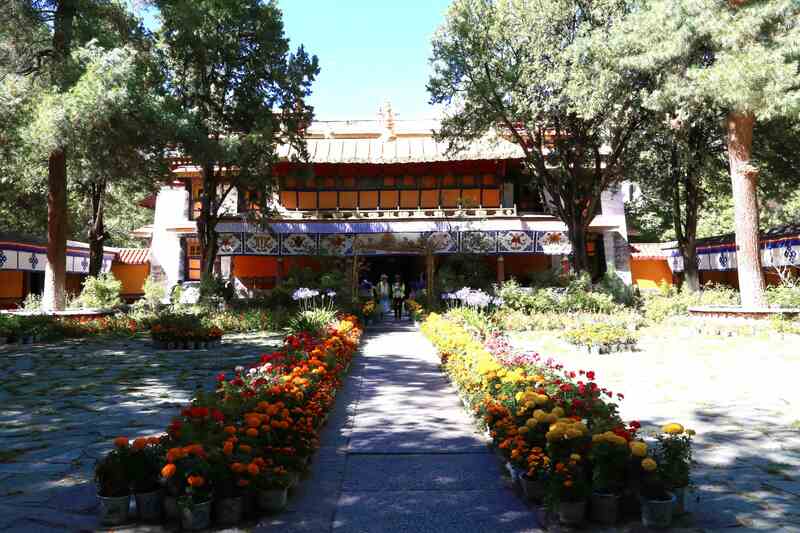 In the center, you can see the Dalai Lama throne, surrounded by Buddha statues. 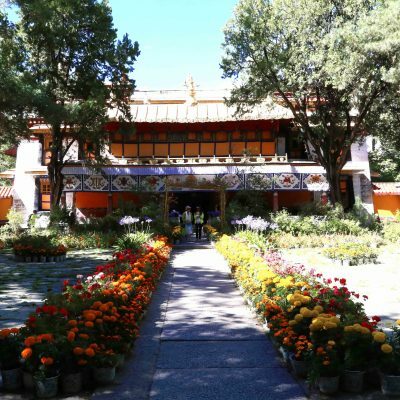 After that, we will walk towards the West side of the park to visit the Chensel Podrang Complex. 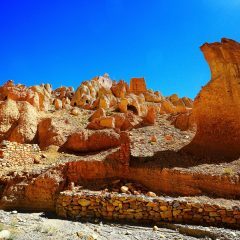 There is a 13th Dalai Lama’s throne, wall paintings and cabinets with statues. 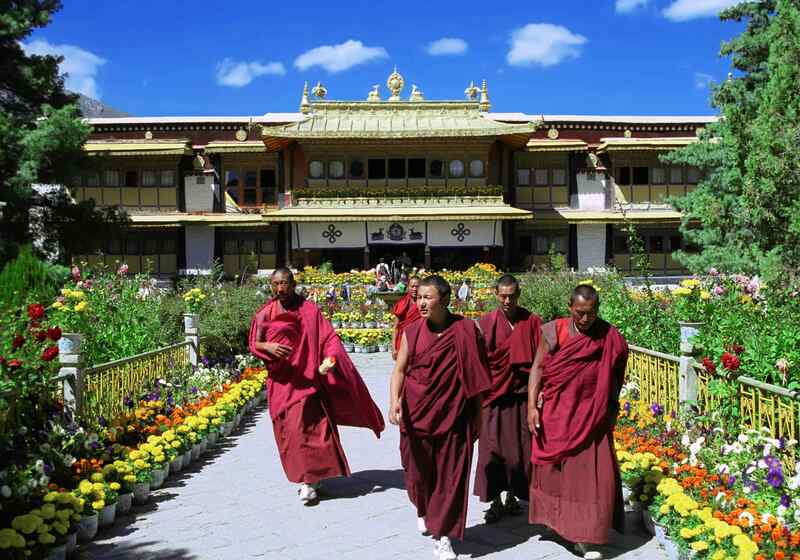 In the center, various horse carriages of Dalai Lamas are displayed. 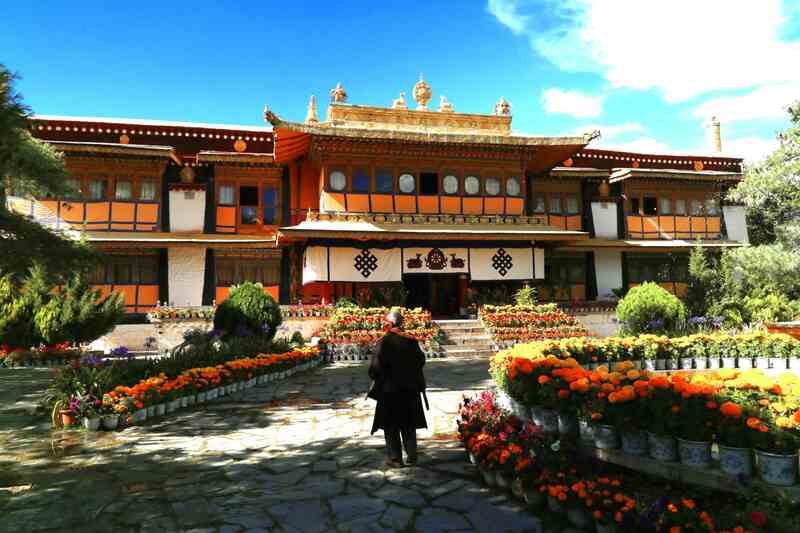 The most important palace is the New Palace, where the 14th Dalai Lama lived. 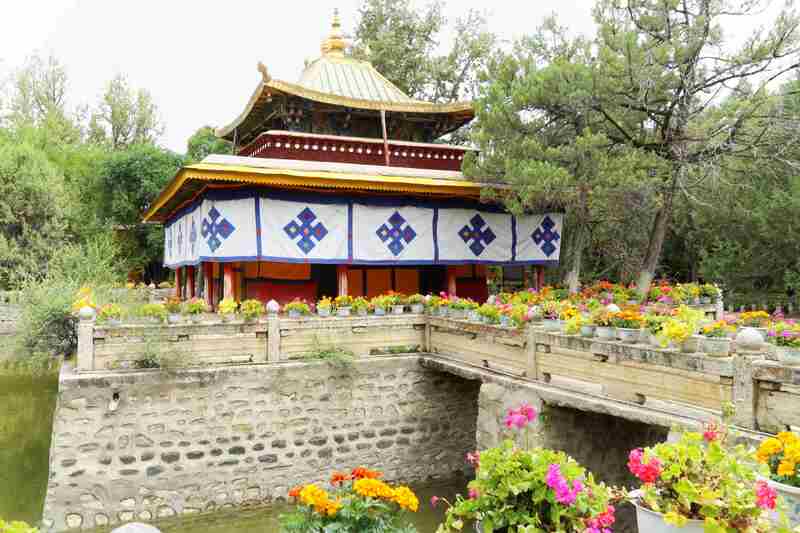 It is a beautiful 2-floor building with the wheel of dharma and two listening deer decorating the roof. On the first floor, there is the audience room decorated with elaborate wall murals. 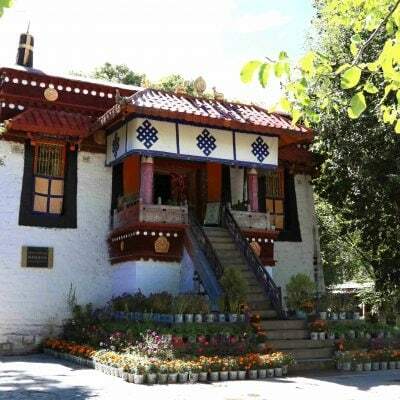 On the second floor, you will see the private quarters of the Dalai Lama and the Assembly hall. The park looks especially beautiful in summer when the trees are green and the flowers are blooming. If the weather is warm, you can stay there for a picnic under the tree shade. 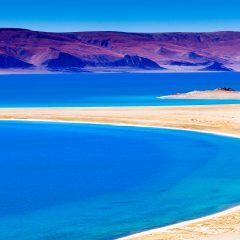 The most popular time to visit the Summer Palace is during the Shoton or Yogurt festival. During the festival week, artists perform operas on the outside stages. 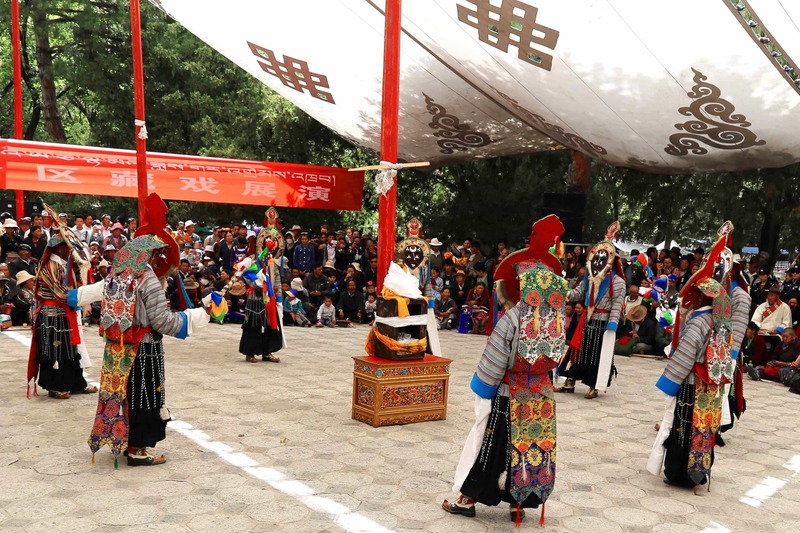 Tibetans dress up in their traditional clothes and visit the park to watch operas and have a picnic.